This topper was ordered for Max's First Holy Communion. 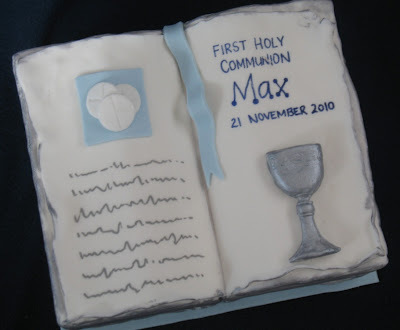 The topper was approximately 8" long and was made to fit on top of the cake that Max's mum made. 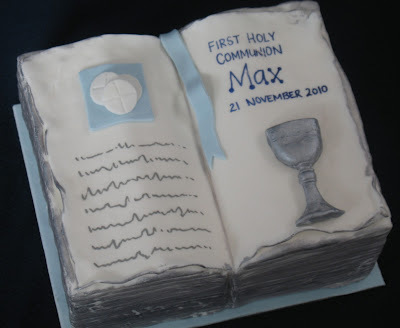 The bible is hand carved styrofoam and covered in fondant. All decorations are completely edible. So unique! This topper is very unique and beautiful!